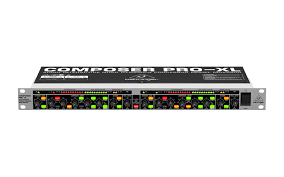 The Behringer MDX2600 Composer Pro XL features an integrated de-esser with switchable male/female voice recognition removes excessive sibilance from your vocal tracks. Interactive gain control peak limiting circuitry combines clipper and program limiting for reliable and inaudible protection against signal peaks. On top of this, you can automatically or manually adjust attack and release times. Hire a mixing desk for your next event – speak to ITR today for more.